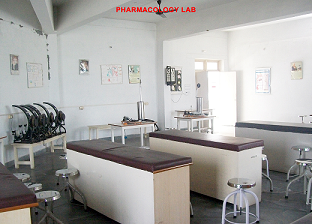 The Department of Pharmacology, Faculty of Medicine in HIND Medical College is equipped with latest technological instruments and its associated clinical labs. 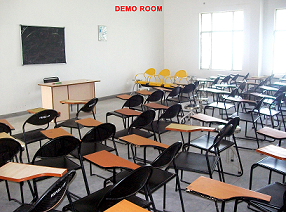 The department is highly research oriented and there are various ongoing research projects in hand. 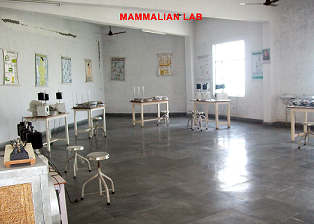 It has a fully equipped library, museum, pharmacy & experimental labs which have all the latest teaching and studying aids and materials like softwares, internet facility, LCD projectors. 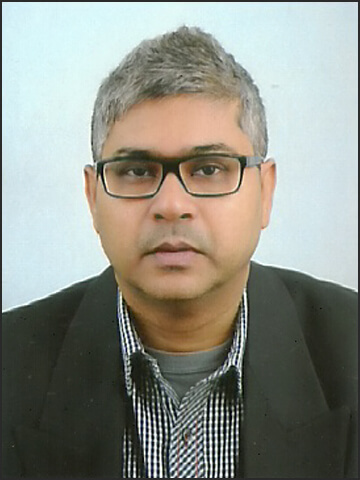 We have a team of academically qualified experienced and dedicated faculty members who have contributed immensely in the progress of the department. We have weekly CME's in collaboration with other department for updating the scientific knowledge. The over-arching theme of research in the Department is to discover the fundamental mechanisms which underlie important problems in Pharmacology. Our main teaching commitments are to undergraduate and postgraduate students studying M.B.B.S. and M.D respectively. All academic staff shares a commitment to top-quality teaching which emphasises general principles and integrates into it the latest findings of modern research. In 2014, the department was given the permission for starting the PG degree course from ministry of health and family welfare, Government of India. 1. 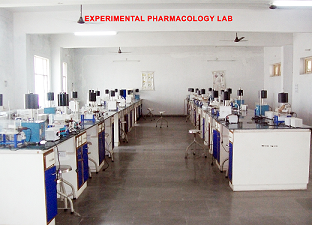 Describe the pharmacokinetics and pharmacodynamics of essential and commonly used drug. 2. List the indications, contraindications, interactions and adverse reactions of commonly used drugs. C. Identify the common infectious agents with the help of laboratory procedures and use antimicrobial sensitivity tests to select suitable antimicrobial agents. 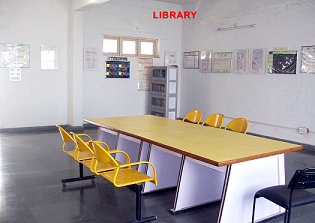 The department has fully active library with the facilities to read and discuss. We have eighty titles of pharmacology and therapeutics and allied sciences. We have national and international journals. 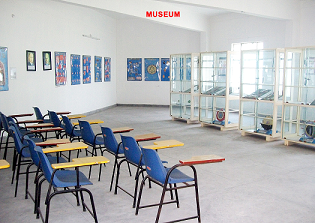 The department maintains a museum providing information on history of medicine and pharmacology. We have charts on various aspects of Pharmacology and therapeutics. We have displayed pharmaceutical samples explaining mechanism of action of drugs on various organ systems. We have stocked more than 100 specimens of herbal medicines as well. 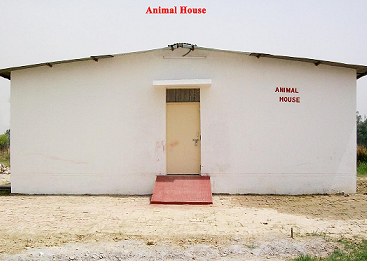 Department is responsible for maintaining animal house for small animals like rats, mice, guinea pigs and rabbits for teaching and research. The department is responsible for maintaining a Pharmacovigilance cell for monitoring and reporting Adverse drug reactions. The committee meets periodically to discuss issues relating to PV. The department is actively involved in research. We currently have 8 PG students registered with us. Six of them have registered synopsis of the thesis registered with Research ad Ethics committees of the institution. 1. A comparative study of the effectiveness of spironolactone and telmisartanin toreducing microalbuminuria in normotensive patients with diabetic nephropathy. 2. A comparative study of amlodipine and cilnidipine on blood pressure and proteinuria as an add on therapy to angiotensin receptor blockers in patients of hypertension with chronic kidney disease. 3. A comparative therapeutic evaluation of topical ivermectin vs topical permethrin for the management of scabies. 4. Comparative evaluation of therapeutic effects of terbinafine and itraconazole in patients with tinea corporis. 5. The effect of aceclofenac on hypertensive patients with osteoarthritis mainatained on Ramipril. 6. Analgesic efficacy of buprenorphine and tramadol on patients with uncomplicated long bone fracture requiring internal fixation. The faculty has published 27 papers I various journal in last 3 years. 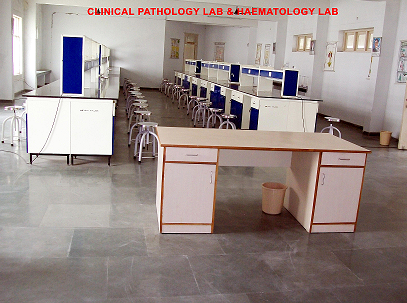 We have established a TDM (Therapeutic drug monitoring) unit with the help of HPLC, Spectrophotometer and ELISA.